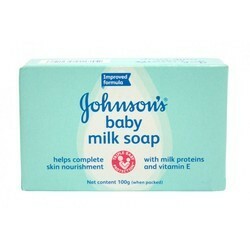 For your baby’s soft skin, trust JOHNSON'S® Baby Soap. 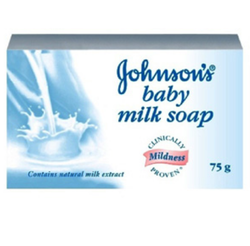 Enriched with natural milk extracts and vitamin E.
This JOHNSON’S® safe soap for baby ensures complete cleansing for your baby in just one wash! we are offring Johnson Baby Rash Powder. These baby cotton buds are safe to use and are made with pure and soft cotton, sterilized and clinically tested. - Caution: Never insert a cotton bud into the inner ear or nose.